I'm in love with my new issue of Cooking Light. I made another recipe the other night from the magazine and it was a huge hit. My version was a bit different than the Cooking Light version. Mainly because I started cooking things before I actually read the recipe again. 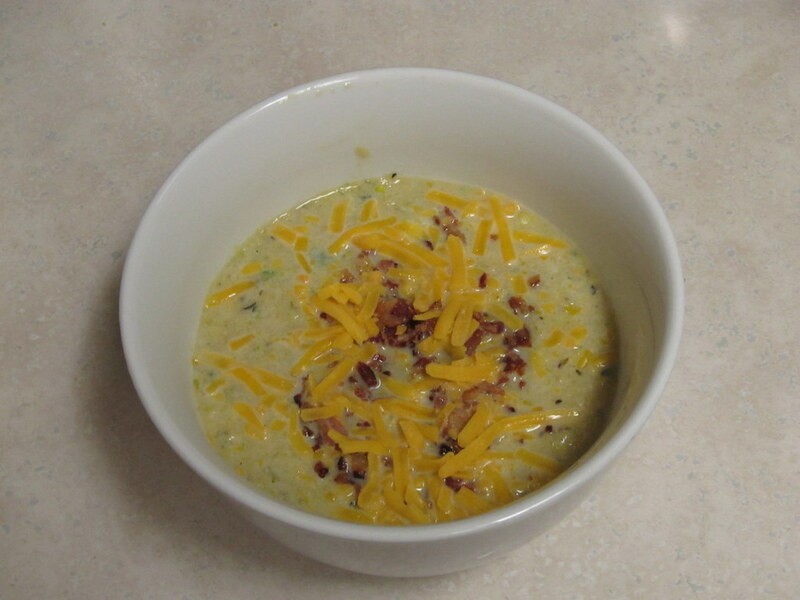 I wanted more of a creamier soup so I pretty much threw everything into the pot and hit it with an immersion blender. CL says to only do this with some of the corn and the milk, leaving chunks of squash and corn in the soup. Doing it my way won't get you a creamy smooth soup either. Squash just doesn't turn creamy easily. It'll be more the consistency of apple sauce which is how my version came out. John is always a little surprised when soup is the actual DINNER and not an appitizer and he did go back for seconds. Plus it's a creat way to go meatless (I don't count the bacon) and a great way to use up some of the squash I still have hanging around. OMG! I had squash soup on our honeymoon and loved it so I might just have to try this. Thanks for sharing Faith! This looks absolutely delicious and I have been looking for a way to use up all our extra summer squash, I'm definitely going to have to try this one out!